The Executive Board of Touch Football PNG (TFPNG) is pleased to announce its programs and events for 2016. The focus of TFPNG Program and events this year is on developing its Affiliates throughout the country. 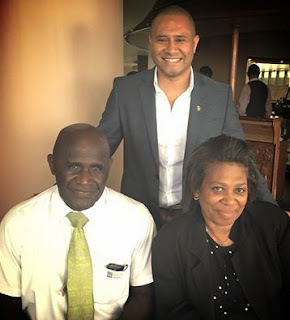 President of TFPNG, Dadi Toka Junior urged all associations affiliated from 2015 and new associations to register with the federation before the end of March 2016. The annual affiliation fee is now K2, 500. The fee may have increased, but there will be tangible benefits for the associations’ players and administration. “TFPNG is now finalising its new partnership with Queensland Touch on improving its administration, operational and technical areas. There are areas we need to improve on and this relationship will bring a new level of development for the code,” Toka said. The Federation of International Touch (FIT) will also be assisting TFPNG on a technical level with its provincial roll out of Coaching Clinics, Referee Clinics and TFPNG Constitution Workshops for all its registered affiliates of 2016. The Provincial Touch Championship will be hosted in Buka on the first week of July and preparations are progressing well with the organising committee. The selections for the PNG elite and juniors squad will be conducted then.